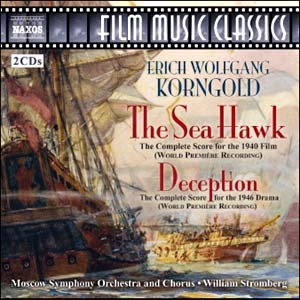 The score for this classic Errol Flynn swashbuckler The Sea Hawk is probably my favourite score from Korngold. It certainly contains my favourite theme of the genre. This “Main Title” theme sets out right from the start that there’s going to be lots of action and adventure but there’s also going to be some sweeping romance too! 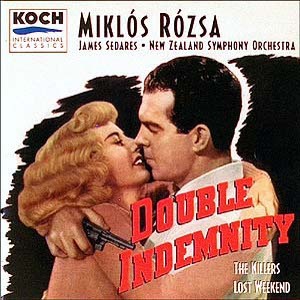 Korngold’s scores can sometimes be a bit over the top for me and this one does have its excesses in terms of relentless action scoring. But to my ears at least, The Sea Hawk has the balance right delivering the right level of action and romance as well as the quieter “underscore” passages. The whole feel of the music is of a film score rather than being a classical piece lifted from the concert hall and placed in a film. There’s certainly enough variety to keep me listening to the whole 2+ hours of music (though I rarely get the chance to do that now). And the long playing time means that the songs (which are not a highlight for me) can easily be lost in the orchestral score! 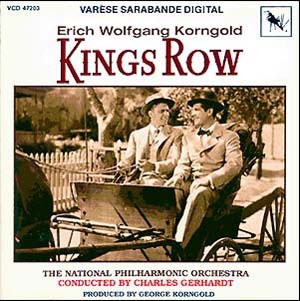 Looking through the various versions I have of this score (with each version having various amounts of music), I count five different versions ranging from a 10-minute suite of original tracks that is featured on a Rhino Records boxed set of Korngold’s scores when at Warner Bros., a suite of tracks re-recorded by Charles Gerhardt for RCA and another suite of cues released in 2002 and recorded by André Previn. But it is the complete score recording from William Stromberg and the Moscow Symphony Orchestra and Chorus that makes this score shine. Played in equal measures with bravado and tenderness, it’s a great recording. It’s a title that’s well worth hunting down whichever version you find. 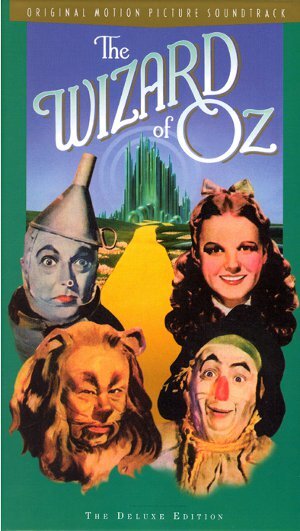 “We’re Off To See The Wizard”, “If I Were King of The Forest”, “Over The Rainbow”, the list goes on. Rhino’s 2 CD “Deluxe Edition” gives you as much as you could ask for when it comes to the music for this iconic film. Outtakes, extended versions and alternate versions as well as all the well-known pieces are here. What this release highlights that there’s so much more to the music than just the iconic songs. For example, one of the things that has always stuck in my mind is Miss Gulch’s theme. Immediately memorable! Listening to it again now, all the various themes/song melodies are weaved throughout the score to build to almost 2 hours that just flies by. The 2 CD version can be a bit excessive with all the various alternate & partial takes but it’s a loving reproduction of the score. There’s a great booklet that comes with this release that makes for an excellent score. There’s so many different versions of this title available that it was a recommendation from Lukas Kendall in Film Score Monthly’s magazine (when it was still in print form) that attracted me to this version of Prokofiev’s cantata format of his score to Alexander Nevsky (with the St Louis Symphony Orchestra under the baton of Leonard Slatkin). And listening more recently to a re-recording of the complete film score (Berlin Radio Symphony Orchestra & Frank Strobel on the Capriccio label) only enhances my appreciation of Prokofiev’s score. 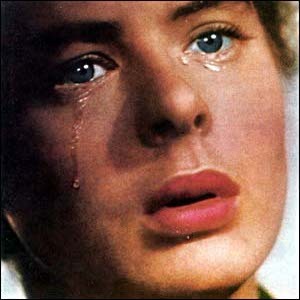 In fact, I prefer the music as heard in the film score format. It may seem an odd thing to say but the score is very Russian sounding! What particularly sticks in the mind are the great choral pieces such as “Arise Russian People!”, “Lake Plesheyeyo” and the choral passages in the Battle On The Ice scene. It’s quite a sombre score overall but does have numerous highlights (e.g., “Return To Pskov – Procession”). 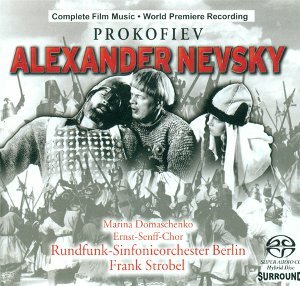 Prokofiev’s Alexander Nevsky can’t be talked about without mention of James Horner and his “danger motif”. Film composers are always using tried and trusted musical devices in their music – and in a way this is what makes their “trademark sound”. 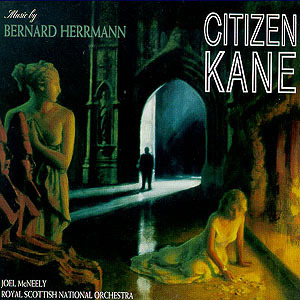 Horner, perhaps more than most, references classical works and a specific musical device (heard in “The Battle On The Ice – April 5, 1242” along with other devices and motifs familiar to anyone who knows Horner’s scores such as Star Trek II: The Wrath of Khan) stands out as what has become known as Horner’s “danger motif”. Personally, I don’t mind the various references he and others are always making but it can be a bit distracting to suddenly be reminded of other films when what you want to do is immerse yourself in this grand score. I would probably recommend the complete film score over the cantata version but either one is a worthy addition to my list.